The Rev. Kelvin Jones, who leads the First Baptist Church in Capeville, located in Virginia’s Northampton County, told Delmarva Now that he and his members are open to forgiving Northam for his 34-year old blackface performance because they believe in "giving people another chance." Northam who just last week became the subject of national headlines for expressing support for a recent proposal in the Virginia legislature that would allow abortions up to 40 weeks of pregnancy, faced even more criticism after a 1984 yearbook photo on a page with Northam's name came to light. 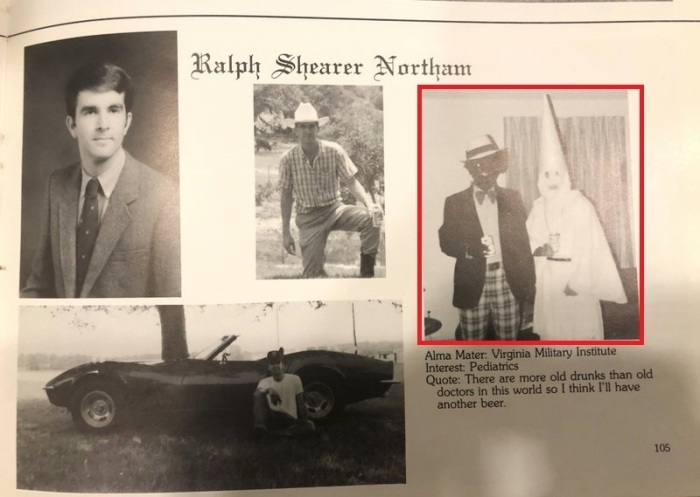 The photo taken from Northam’s time at Eastern Virginia Medical School shows two people, one in blackface and another masked under a Klu Klux Klan robe. After admitting he was in the photo and apologizing for it however, Northam said at a press conference Saturday that it wasn’t him at all. He admitted however that he once used “just a little bit of shoe polish” to darken his face for a dance contest in San Antonio, Texas where he danced as Michael Jackson. While Northam’s church and his pastor appear will to forgive him however, a bipartisan call for him to step down as governor has been growing. “If you can’t understand how painful + eroding this is to American society, let alone the state of Virginia, take some time to read up this weekend,” she added, recommending Ta-Nehisi Coates’ Between the World and Me. “This has gone on too long. There is nothing to debate. He must resign,” Hillary Clinton also tweeted Saturday night. 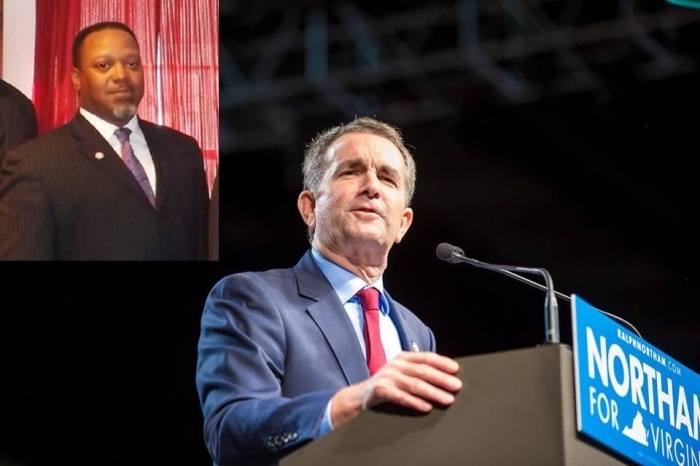 “Democrat Governor Ralph Northam of Virginia just stated, ‘I believe that I am not either of the people in that photo.’ This was 24 hours after apologizing for appearing in the picture and after making the most horrible statement on ‘super’ late term abortion. Unforgivable!” Trump tweeted Saturday. Several conservatives also shared photos of President Trump, who has been accused by some of racism, with civil rights icons such as Rosa Parks and Muhammad Ali, and compared them with Northam’s controversial photo. There was even a photo of Trump with Michael Jackson. Jones however insists that Northam, 59, who attended a predominantly black high school, doesn’t appear to be the same man he was 34 years ago. "I think he has the right to prove himself," Jones told Delmarva Now. "I think that he has the right to serve until he feels he’s no longer capable of doing the job. And he has to come up with those reasons as to why. Whether it be the lack of support, whether he just feels ineffective, or whatever." Jones further noted that Northam could use the blackface controversy to foster more constructive dialogue on enduring racism in the state. 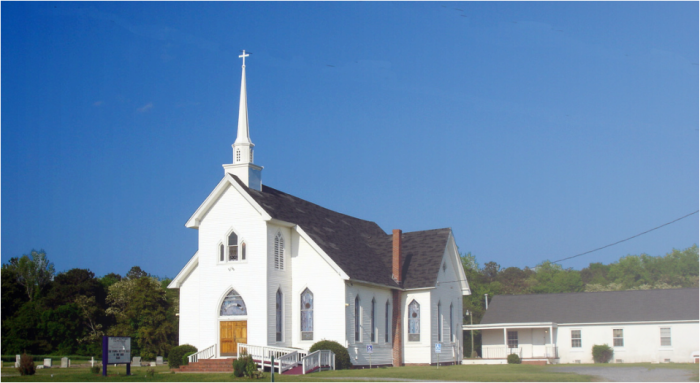 At a church service on Sunday, the times said Jones called up Northam and his wife and church members prayed for them.